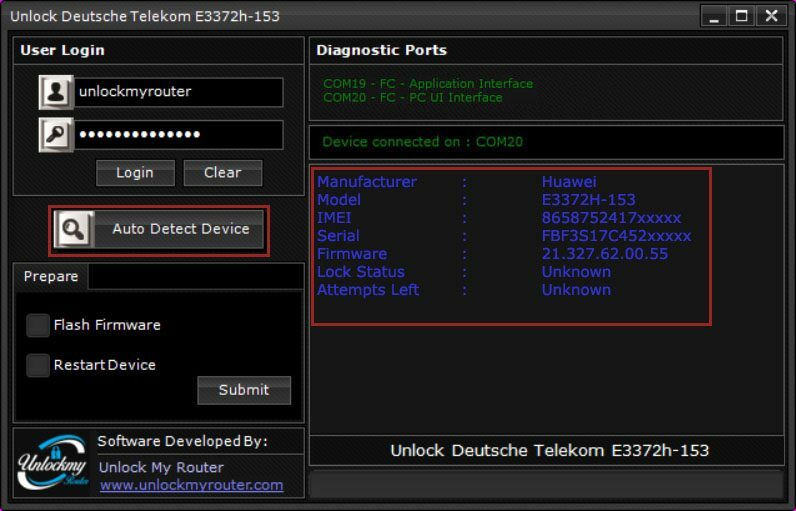 Deutsche Telekom has started selling E3372h-153 modem in locked status having firmware version 21.327.62.00.55. 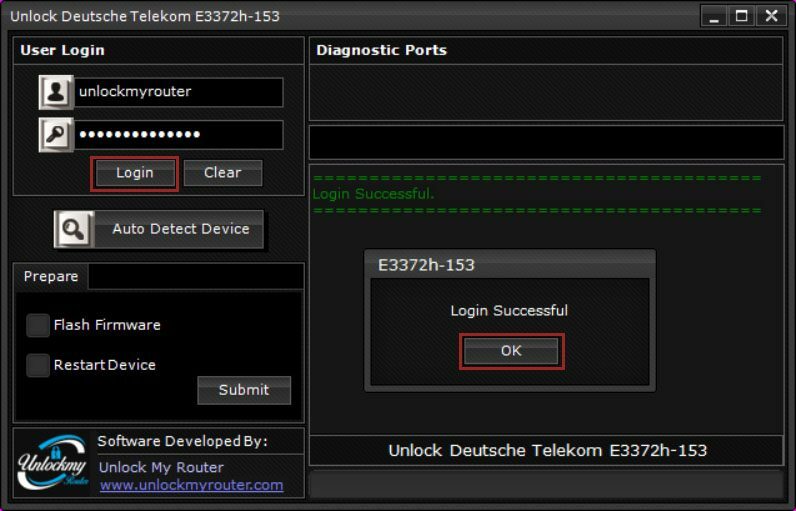 After going through this post you can unlock Deutsche Telekom E3372H-153 easily without going through any hassle of dismantling the router. The process which we are going to share today will unlock your modem without opening the screws. It can be unlocked without opening the screws. 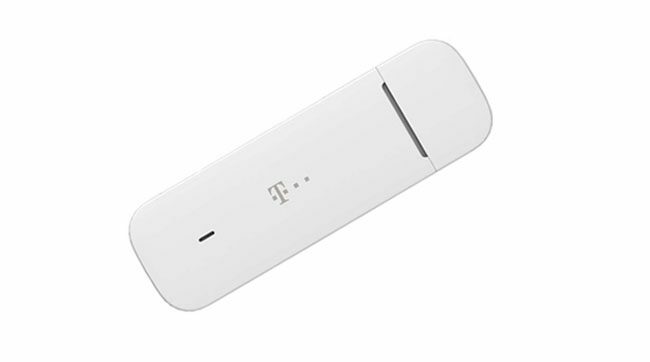 After the unlock Deutsche Telekom E3372h-153 modem can be used with any the network sim card worldwide. 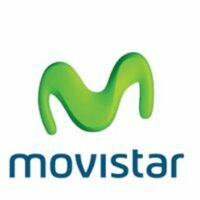 Download and Install Drivers from here. 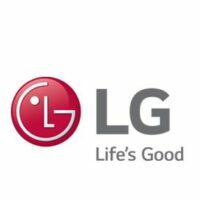 If you are facing problems with driver installation follow this link. 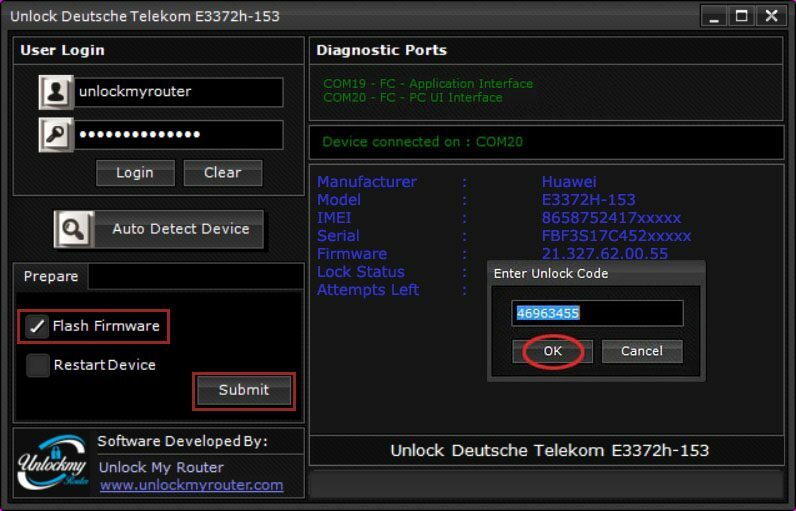 Download Deutsche Telekom E3372H-153 Unlock App and open it. Go to User Login (Default username and password is unlockmyrouter). After successful login, Click on “Auto Detect Device”, your device information will get displayed. 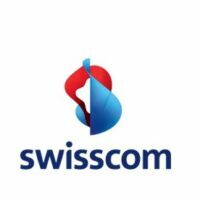 Note: If you get the message connection failed or login failed, Download this file, extract and run it. It will enable the Com-Ports and will open Device Manager, check if there are two Com ports. If the ports are present, Click Login/AutoDetect. If you can’t see two ports, you have to fix the driver issue. After successful detection, Choose Flash Firmware and click the submit button. It will ask you to enter a code. 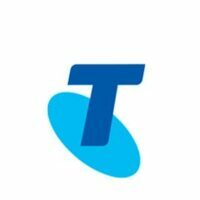 Type the code here, which you have received from unlockmyrouter.com and click OK. Your E3372H-153 dongle will restart and the firmware installation process will start automatically. Your E3372H-153 modem is now unlocked and will work with any SIM card. Restart it to apply the new settings by choosing Restart Device option and click Submit. Unlock code is free for limited period. Comment below with your device firmware and IMEI to get the unlock code.